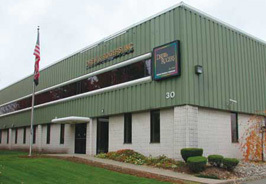 Headquartered in Fairfield, New Jersey, Drew & Rogers, Inc. was started more than 70 years ago as a business forms and engraving company. Over the years we have narrowed our company’s focus into 4 categories; commercial printing, business forms, flexible packaging, and promotional products. Our flexible division accounts for 30% of our revenue. We offer almost any type of film structure for horizontal and vertical filling requirements. From surface printed Polypropylene to Poly(Paper)/Poly/Foil/Poly barrier films we can handle any of your film needs, and in addition Drew & Rogers supplies both layflat and standup pouches in small and long run quantities. Our newest technical offerings includes a 30” wide digital printing capability for your short-run, wide-web digital requirements. From out 70,000 square foot facility we can also warehouse and distribute your product on a bill-as-ship basis with a up-to-date on-line ordering and reporting technology. Our extensive experience and a high level of professional sales service distinguish the Drew & Rogers team. With more than 70 years of experience and knowledge, we are confident we can fulfill all your flexible packaging needs. Please visit our other sites to explore the different printing products we offer.